Original research articles submitted to PHRG from today up to 3 September 2017 will be considered for the third issue of the Journal first volume (PHRG 1(3). The issue will be published in November 2017. Information about the review process and the guidelines for authors considering to submit their manuscript to PHRG are available at http://phrg.padovauniversitypress.it/manuscript_submission_form . 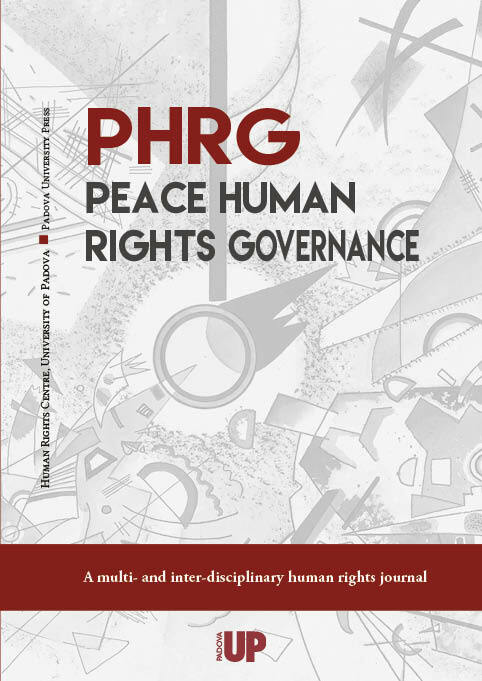 Following the launch of PHRG, the new Journal of the University of Padova Human Rights Centre and the publication, in March, of the first issue, the new issue is right under construction. As its publication is envisaged in July, we are accepting original research articles up to 14th of May. Guidelines for authors considering to submit their manuscript are available at http://phrg.padovauniversitypress.it/manuscript_submission_form .